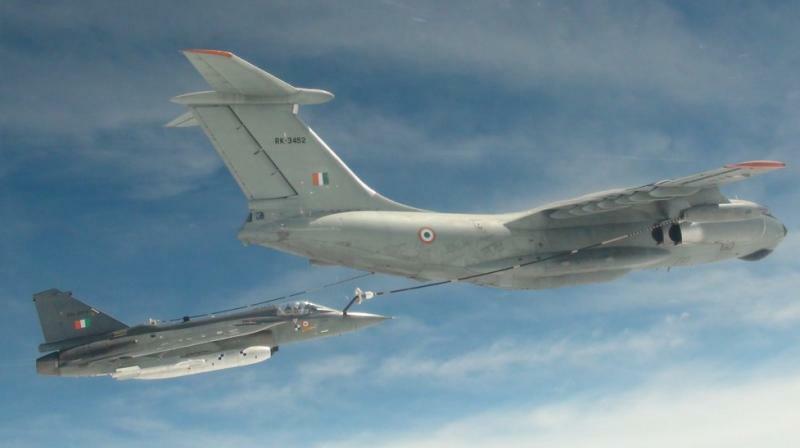 1,900 kg of fuel was transferred from the mid-air refuelling tanker of IAF's IL78 to the Tejas LSP8 at an altitude of 20,000 feet. Bengaluru: The first ever mid-air refuelling of the indigenously developed light combat aircraft Tejas was successfully carried out on Monday, Hindustan Aeronautics Ltd (HAL) said. The milestone was achieved at 9:30 am when 1,900 kg of fuel was transferred from the mid-air refuelling tanker of Indian Air Force's (IAF) IL78 to the Tejas LSP8 at an altitude of 20,000 feet, said a release from HAL, which has developed the light combat aircraft (LCA). The feat was achieved days after the IAF successfully did a dry run of mid-air refuelling using the Russian-built IL-78 MKI tanker.